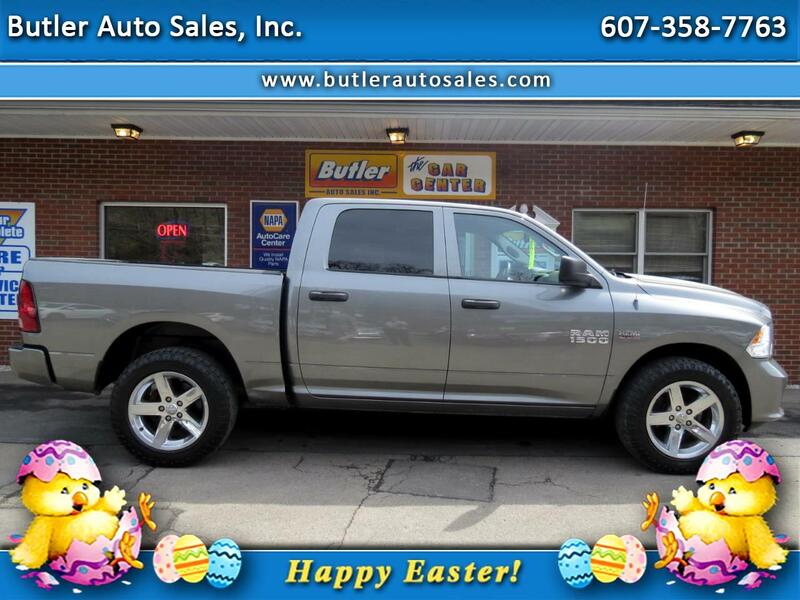 Used 2013 RAM 1500 Tradesman Crew Cab SWB 4WD for Sale in Oneonta NY 13838 Butler Auto Sales, Inc.
Only $430 per month for 72 months to qualified buyers! Sales tax and DMV fees extra. Extended service contracts available. One-Owner! Visit Butler Auto Sales Inc. online at www.butlerautosales.com to see more pictures of this vehicle or call us at 607-563-1522, or 607-563-3311 today to schedule your test drive. We have two locations 304 State Hwy. 7, Sidney, NY 13838 & 168 Delaware Ave, Sidney, NY 13838. Every attempt is made to provide accurate pricing and information including accesories and options. Butler Auto Sales Inc. is not responsible for misprints or inaccurate information.